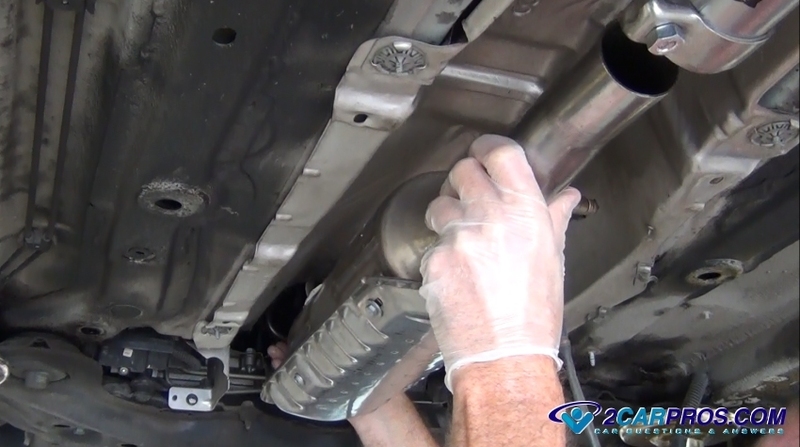 Testing a catalytic converter on your vehicle is an easy job and is part of the emissions system that is designed to eliminate air pollution which is left over from the engine internal combustion process. These pollutants such as Nitrogen Oxides (Nox), Hydrocarbons (HC), and Carbon Monoxide (CO), are reduced to extremely low levels as they pass through the units internal honeycomb that is coated with a thin layer of catalyst material. Newer versions will have more than one chamber to amplify the cleaning effect and reduce harmful pollution gases from entering the atmosphere and the ozone layer. This "cat" as it is sometimes called has a wide range of temperature operations which begins working when it reaches between 200°F (98°C) to 400°F (204°C). From there its normal operating temperature can be upwards of 500°F (260°C). 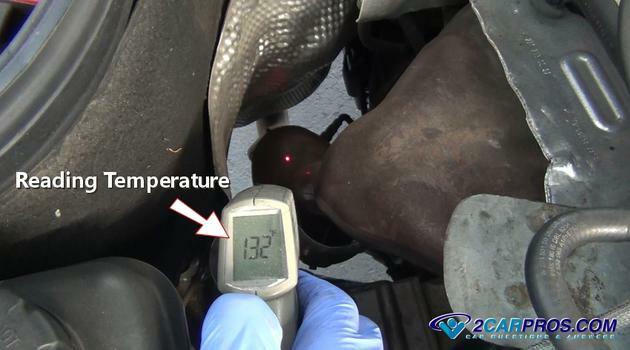 The higher the temperature the better the result of eliminating pollutants, if your car is ready for smog testing it's best to run the engine and the exhaust system hot before getting the car onto the test center. A new converter can help lower Hydrocarbons (HC) and allow worn engine to pass the test. If the engine is running poorly a converter’s temperature can soar much higher due to the processing of un-burnt fuel and increased chemical reaction which will cause the internal honeycomb itself to begin to melt and break apart which can create a partially or totally plugged unit. In this case its catalyst material can become loose and can be identified by a rattle or a constant ticking when the engine is running. There are three tests that can be performed to determine if the assembly is not working or plugged. Engine performance test with the exhaust partially disconnected. Each one of these items is available at Amazon or the local auto parts store. 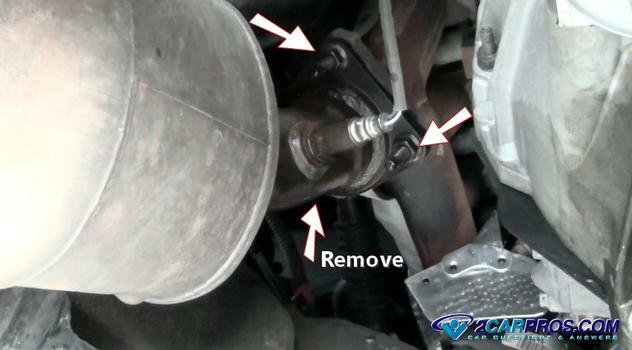 Some vehicles have a primary and secondary catalytic converter to help clean the exhaust gases. Their locations can vary in the exhaust system depending on manufacturer. The following test will work for both primary and secondary but the difference in temperature will be more apparent in the primary unit which is closest to the exhaust manifold and more receptive to the chemical reaction due to the additional heat. Before we begin, its best if you drive your car around the block a few times to warm the engine and exhaust system. This will make the testing more accurate. When the unit is cold the chemical reaction is diminished. Wear gloves, protective clothing and eyewear. Park your car on a smooth flat surface with the emergency brake on. You may need to lift the car if you can't get to the converter easily. 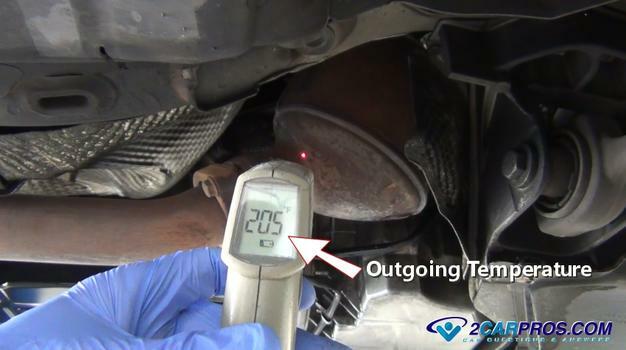 After the exhaust system and cat converter has been heated point the infrared temperature meter at the incoming exhaust pipe as it enters the housing. If the unit is made directly into the exhaust manifold measure the top of the canister or the upper portion while not getting the manifold itself. Next, locate the rear of the unit and take a reading in much of the same place but in the opposite position of the incoming exhaust gases. This beam placement should be near where the outgoing exhaust system connects to the unit. If the assembly is working the temperature reading from the outgoing gases should be 30 to 100 degrees higher letting you know the chemical reaction is occurring inside. If the assembly is not working and worn out or is partially plugged the outgoing reading will be colder or the same in temp as the incoming reading. Excessive back pressure in the exhaust system will restrict the flow of exhaust which can reduce engine power due to the exhaust gases not escaping. This would be like trying to blow through a clogged filter which is difficult to do. If your engine is low on power and you suspect the converter is plugged or broken raise the vehicle up and wiggle the exhaust system in its rubber mounts while listening for rattles which is a clear indication of failure. You are hearing the broken catalyst material inside the pipe. Next, loosen the exhaust flanges at the manifold. This will create an air gap between head pipe and manifold which will allow the exhaust to escape which will bring the engine performance back to normal. 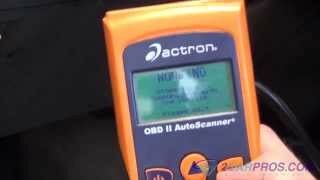 Of course it will be a little loud on the test drive and we don't recommend you drive the car for long periods of time but this test can help you determine the problem. 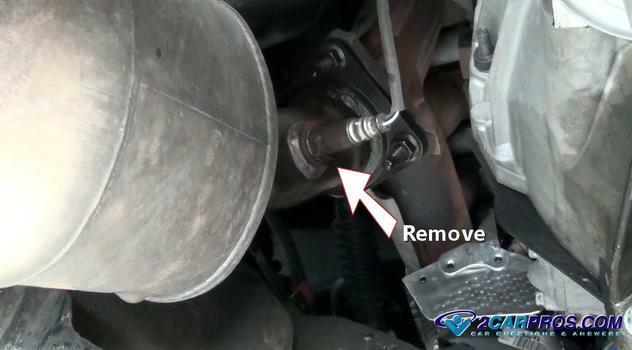 You can also remove the primary oxygen sensor and allow the pressure to be released through the threaded hole. This doesn't work as well as loosening the head pipe but there will be a difference in performance if there is a blockage. 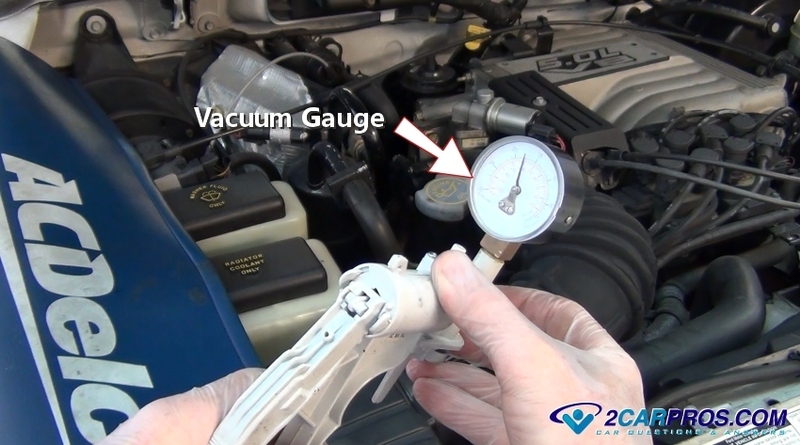 Attach a vacuum gauge to a vacuum port on the intake. 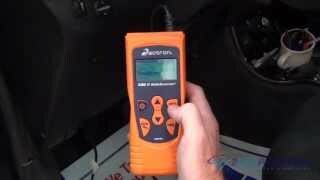 You may need to remove the vacuum feed line to the EVAP system or another component temporarily. Start the engine and allow it to idle as you observe the intake vacuum reading. This is your vacuum reading baseline. A normal gauge reading should be between 16 and 21 inches of vacuum. Have a helper snap the throttle (push down quickly and then release). There should be a brief drop in vacuum as the throttle is opened but it should return to nearly the baseline pressure you had at idle within a few seconds. If this reading takes longer than a few seconds the exhaust system is plugged. An additional test is to keep the engine at about 2,500 RPM and watch the vacuum gauge. If the reading is low or continues to drop this is a good indication there is blockage in the exhaust system causing backpressure to build. The most likely problem is a bad converter and replacement is required. It's important to mention that a faulty converter can sometimes be caused by something other than the converter itself. Therefore you should determine what caused the problem such as a faulty injector or an engine misfire, both of these conditions will omit excess fuel into the exhaust system. The exhaust system is designed to have about 3 psi maximum of exhaust back pressure under heavy throttle. Pressure gauges are available on Amazon or the local parts store that will plug into the exhaust primary (upstream) oxygen sensor port which can be helpful in testing the system back pressure. The name catalytic converter was derived from its operation. Utilizing a catalyst combined with heat to convert the unburned gases into fully burnt gases. This catalyst is heated by the engine exhaust to excite the chemical reaction. This action makes the catalyst even hotter furthering the effect into thermo reaction. Some emission systems utilize outside air which is pumped into the exhaust system using an air pump to super heat the cat to aid in the heating process. After driving for long periods of time do not park your car over dried brush to avoid a fire hazard from the heated exhaust system. If you have any questions about catalytic converters, please visit our forum. If you need car repair advice, please ask our community of mechanics who are happy to help. Our service is always 100% free.